The Royal Enfield Thunderbird is quite a popular machine for long distance riders. 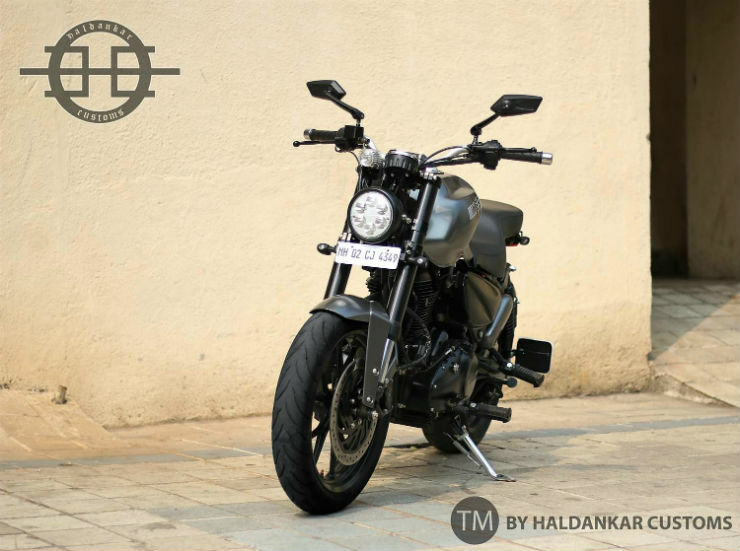 Here is a Thunderbird that has been completely transformed into a naked street bike by Haldanker Customs. The long-distance cruiser bike gets a new identity with the modification job that is known as the X350. 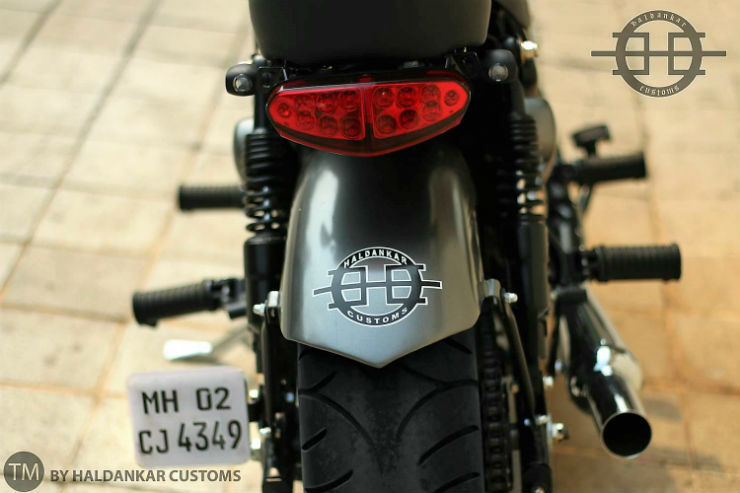 The customised bike gets a new hand-made tank that has deep creases and adds muscle to the overall look of the Thunderbird. The chrome bits of the Thunderbird have been replaced with all-black parts. The bike also gets an upside down suspension and a fibre plastic front fender. The headlamp has been replaced with a new round LED unit that looks much stronger than the stock headlamp. Even the indicators have been replaced with new LED ones. The seat is stock but the rear fender has been re-designed and it is now placed much closer to the tyre. The bike also gets new alloy wheels and tubeless tyres, a feature that all Royal Enfield bikes, except the Thunderbird-X, misses out on. The exhaust is also new and it is the only part that gets a chrome cover. Even the handlebar has been replaced with a flatter one that allows the rider to sit aggressively. At the rear, the bike gets an LED tail lamp unit that gives it a very neat and clean look. The fat rear tyre also adds to the overall road-presence of the bike. As far as the engine goes, it remains stock without any modifications. It is powered by a 346cc, single-cylinder, air-cooled engine that generates a maximum of 19.8 Bhp and 28 Nm of peak torque. The custom exhaust does increase the power but it has not been measured yet. The modification job takes three months to complete and the price is Rs. 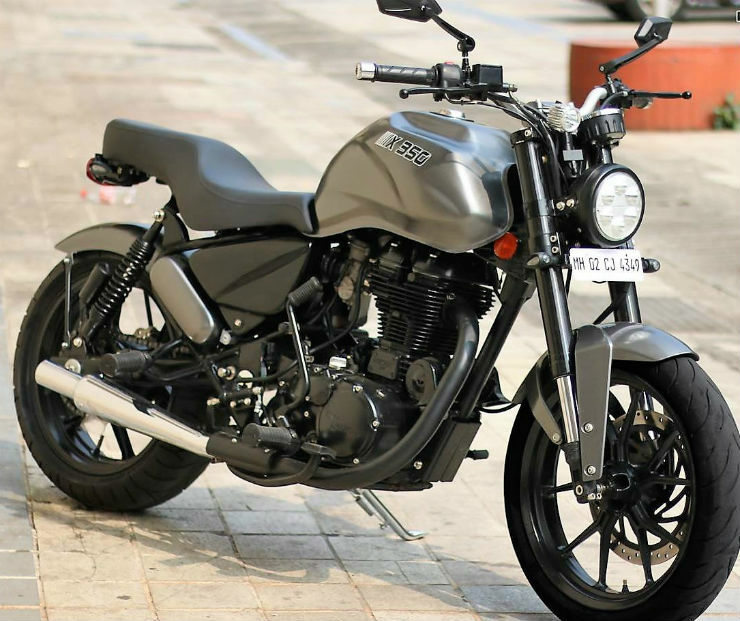 1.6 lakhs over the price of the bike. The same modifications can be done to the Thunderbird 500 too!